The longer I live in Kentucky the more I appreciate the countryside, which is pretty much anything that's 30-40 minute drive outside of the Louisville city limit. Two lane winding country roads will take you away from the hustle and bustle of the city to small town USA, with charming vistas of rolling hills, forests and farm lands. The towns are small and quaint, here the people are friendlier and the pace slower. 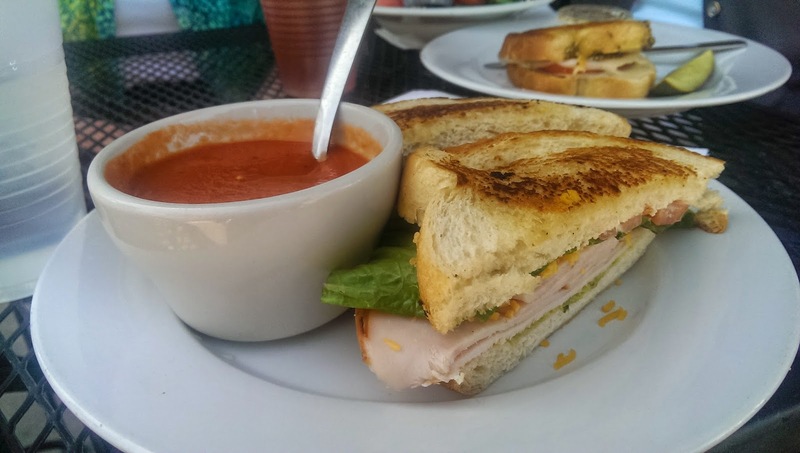 Of course, one of my favorite things to do in these small towns is to check out local restaurant where I know I'll get some good home cooking, everything made fresh and from scratch. Here are my two favorite recent discoveries from Henry County (40 miles North East of Louisville). 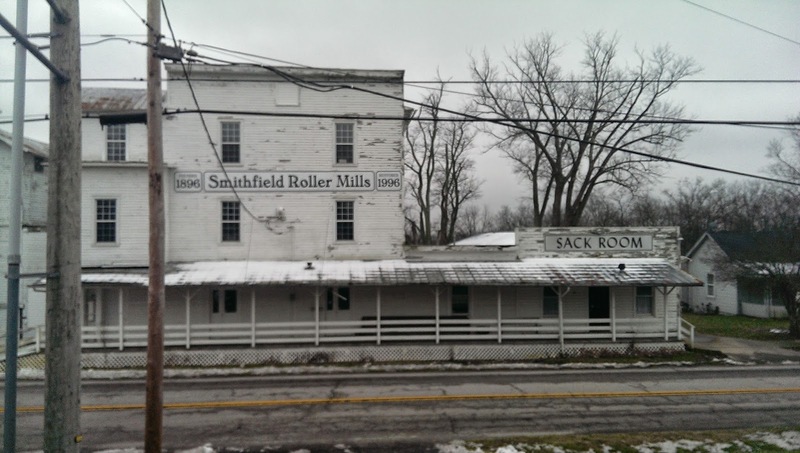 Our Best Restaurant is located in Smithfield, KY. There really isn't much around here except for the restaurant. This is the kind of atmosphere city restaurants try to capture, homey and rustic without pretension. 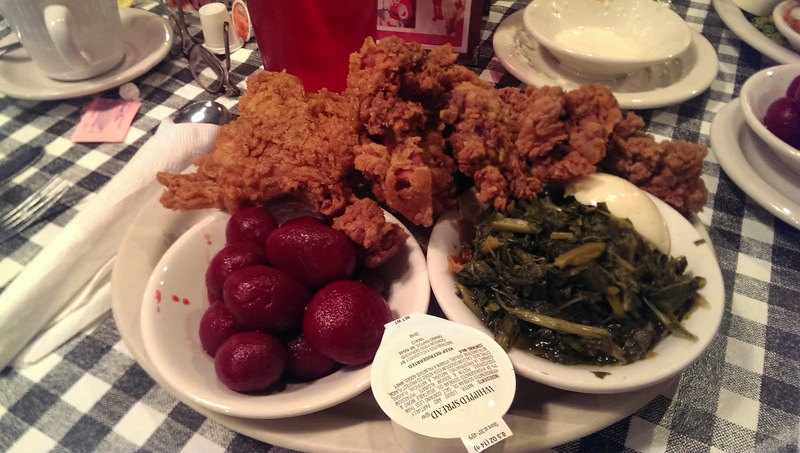 I had the fried chicken and liver, they pile it so big I thought I couldn't finish. I also discovered the tastiness of pickled beets here. 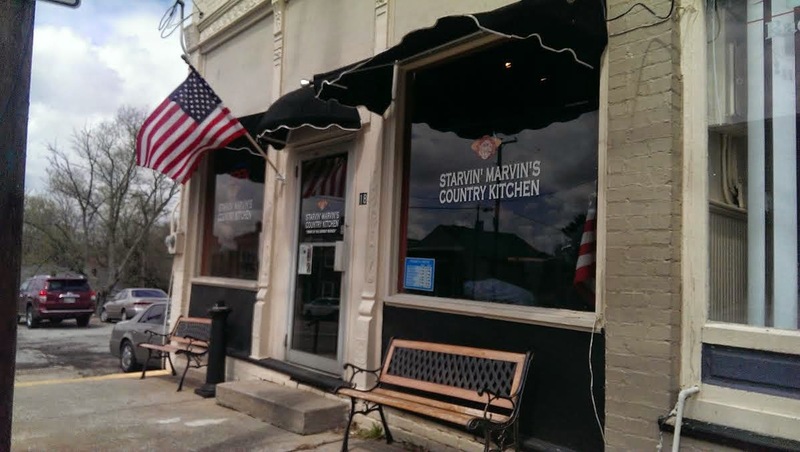 Starvin' Marvin's Country Kitchen is also the only restaurant in New Castle. The restaurant is small and but there's a large menu of breakfast items, sandwiches for lunch and home made sweets. 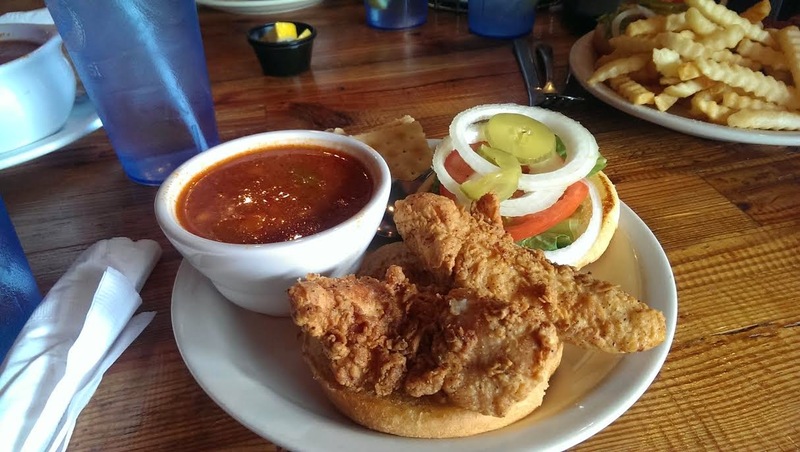 My friend chicken sandwich was so tender, fresh and juicy I can still taste its goodness long after I leave the restaurant. 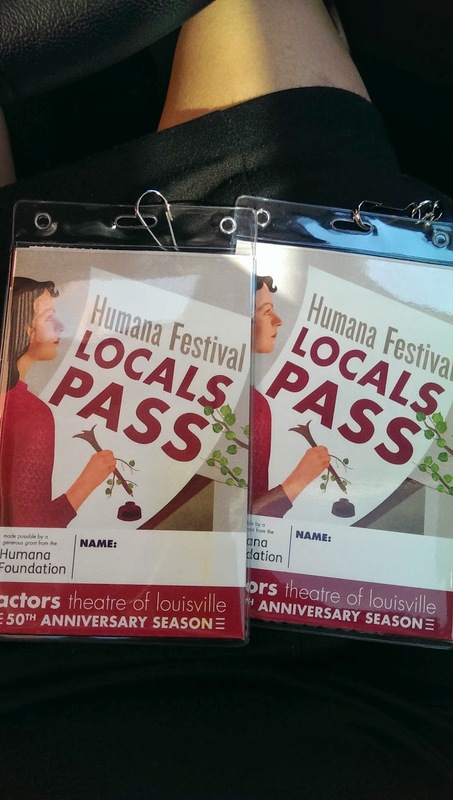 It's better late than never, we finally exchanged our voucher in for the Local Pass and 10 free tickets for the last week of the Humana Festival of New American Plays (Special thanks to Actors Theatre and Yelp). 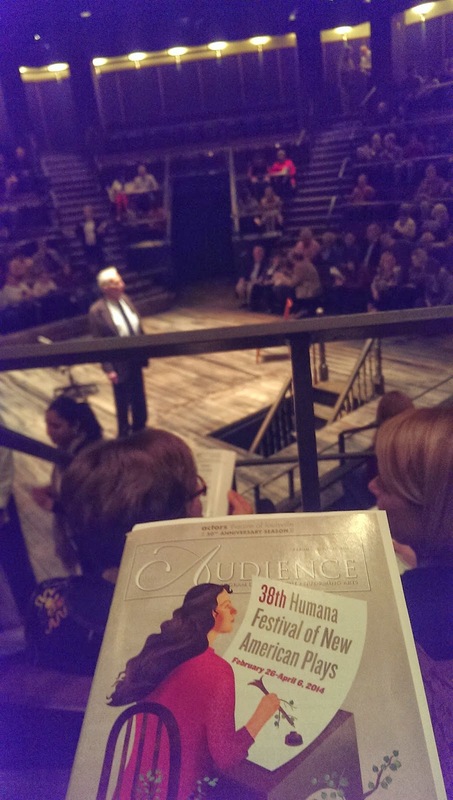 Produced locally and known internationally, the Humana Festival introduced 400 new plays to date and provided a launching platform for numerous talented new playwrights. 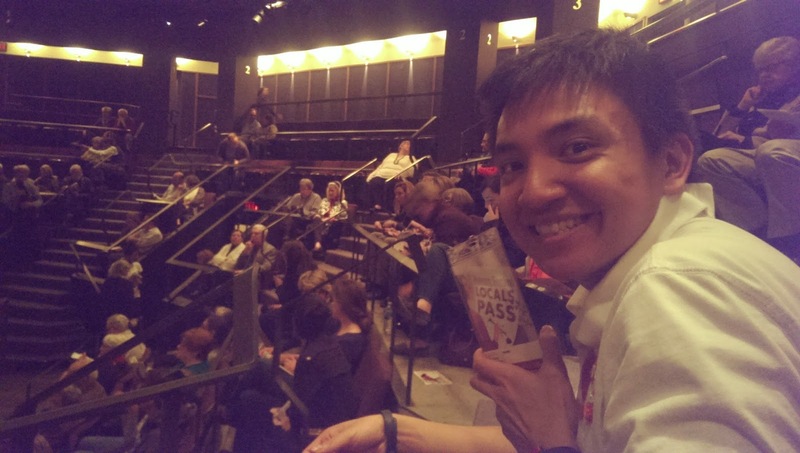 Three of the Festival's plays have won the pulitzer prize, 8 adapted for film/television series, 90 million Americans have seen productions of the plays originated here, and many of the plays won other prestigious awards. All this happening locally, how cool is that?! We went to see the Grown Up this week. I was skeptical at first, the theater was small the stage decoration was minimal. What the actors and writer were able to accomplish in such a setting blew us away. It played out like a fast paced, action packed, and adventured filled fairy tale/scifi. Blink and you'll miss an important point. The play was funny and kept us laughing with its clever dialogue throughout. It was an entanglement of various story lines that came together beautifully in the end but had my husband and I asking, "So, what really happened? "(Each unwillng to admit that we didn't quiet get it all). The Festival is a celebration of the arts, of the talented men and women and the amazing creativity of the human mind. It runs until this Sunday April 6, so you still have time to check it out! We're looking forward to see the other plays this weekend. Click on Actors Theater website for additional info. 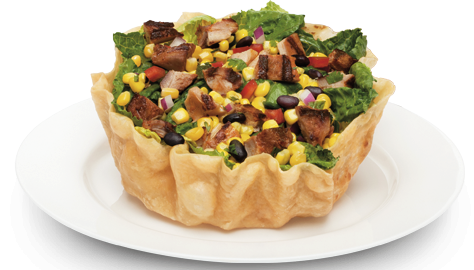 Post play dinner: Qdoba for two, burrito + chicken salad for $8. Thanks to the buy one get one free birthday coupon from Qdoba. Looking for something to do with the kiddos (or the kiddos at heart) this spring break, on the cheap and in town? 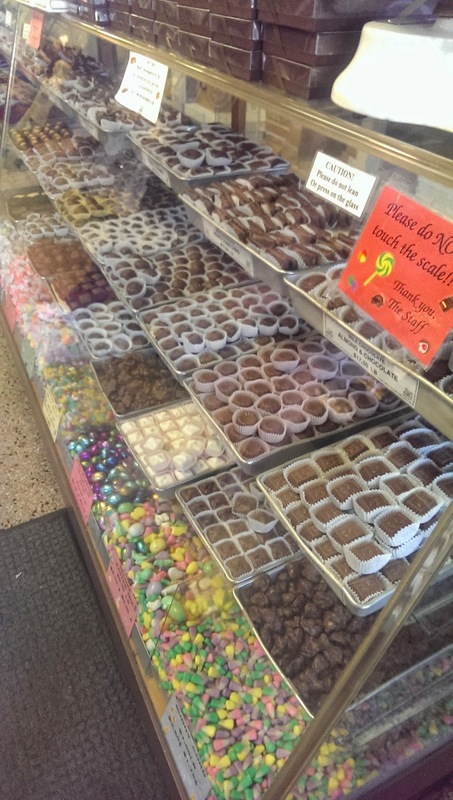 Take a short drive, a breezy bike ride or a long walk across the 2nd street bridge and back into time at Schimpff's Confectionary. 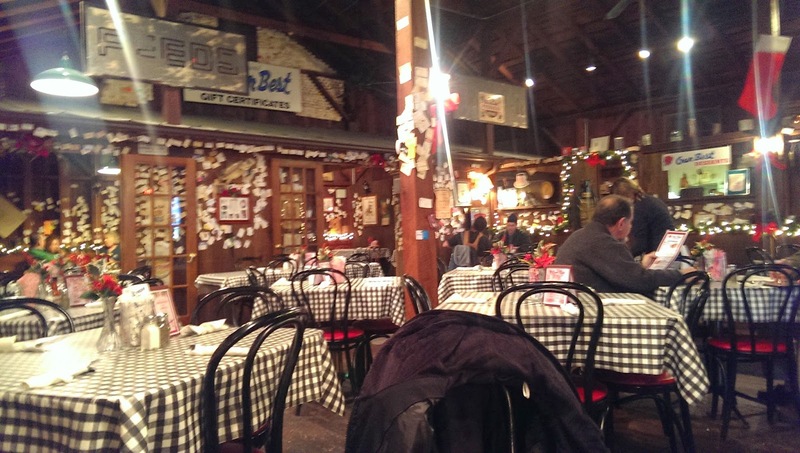 Located in historic downtown Jeffersonville, Schimpff's is like something straight out of the 1950s. 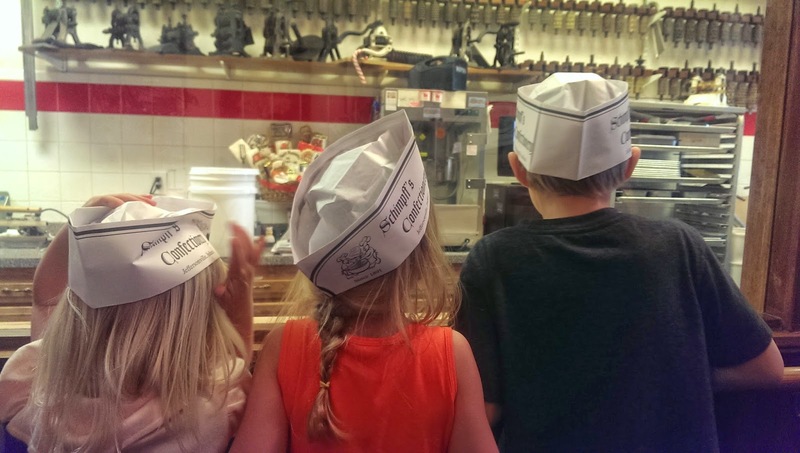 The homemade candies of all flavors and varieties, the old fashion soda fountain and ice cream, and the charm of its owners all bring back images of a gentler and carefree time. 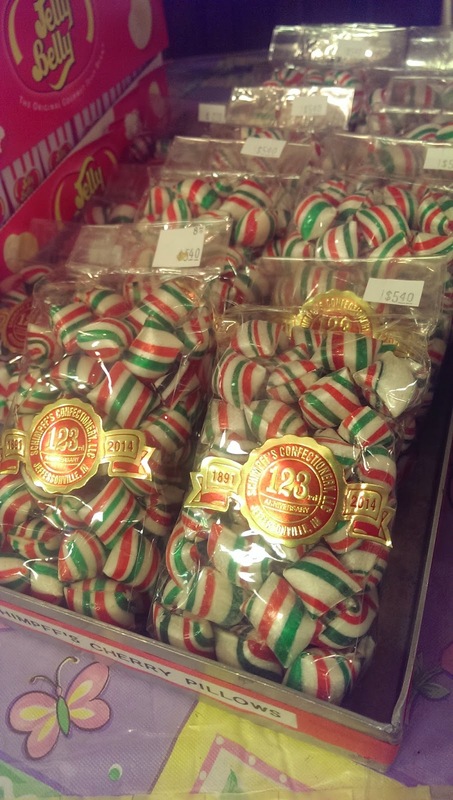 The place has been making candy since 1891 and named as a “hidden treasure” by the State of Indiana. 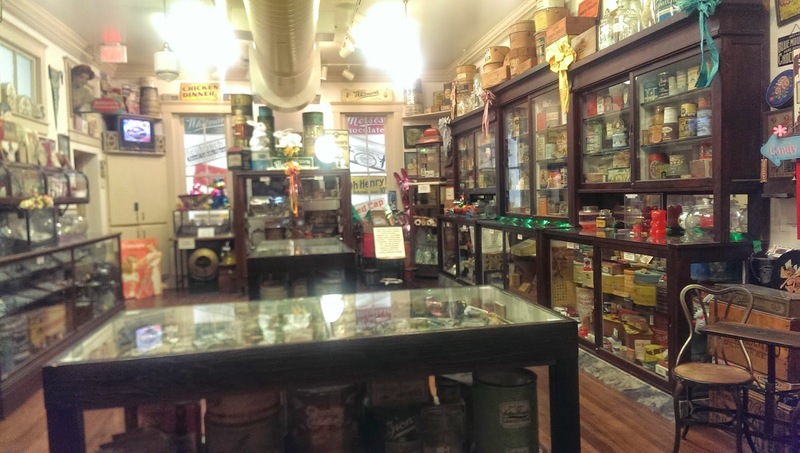 Right next door is a living candy museum that pays tribute to candies of the past, ranging from candy memorabilia, vintage posters, machineries, etc. 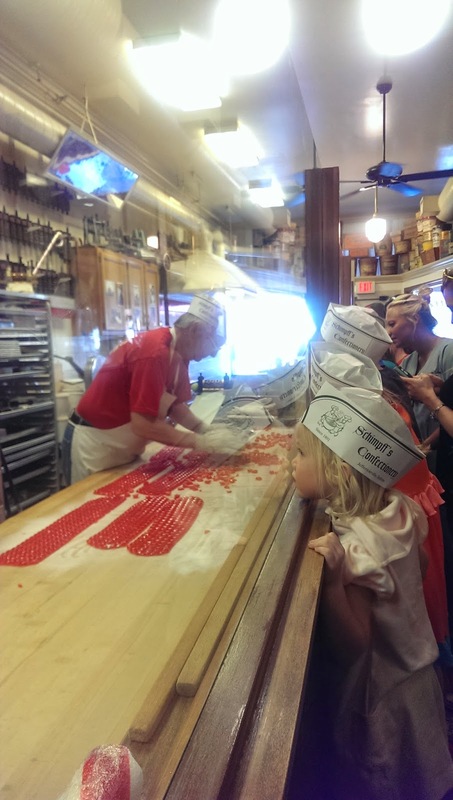 Owners Jill and husband Warren Schimpff do a demonstration on how they make hard candies the old fashion way. Their warm and humorous demonstration will keep the kids engaged. You’ll also get a sweet treat at the end! They’re doing demonstrations on the hour because of spring break, but you can call ahead and make an appointment for your group anytime, all free of charge.